One of the perks of working as a freelance interpreter is driving around the Bay Area daily and exploring the food riches of whatever community I find myself in, which often turns out to be Fremont. Thanks to the California School for the Deaf, Fremont is home to a sizable Deaf population, as well as the largest concentration of Afghans in the US. But traveling down Fremont Boulevard in the Centerville District, you might pass right through the 2 block area known as Little Kabul and miss sampling some exquisite tastes of Afghan cuisine. So get out of your car and explore the restaurants and market on foot. When I first stepped inside Salang Pass Restaurant I felt transported to another part of the world. A multi-colored canopy drapes crimson cushions and low tables (conventional tables and chairs are also available). 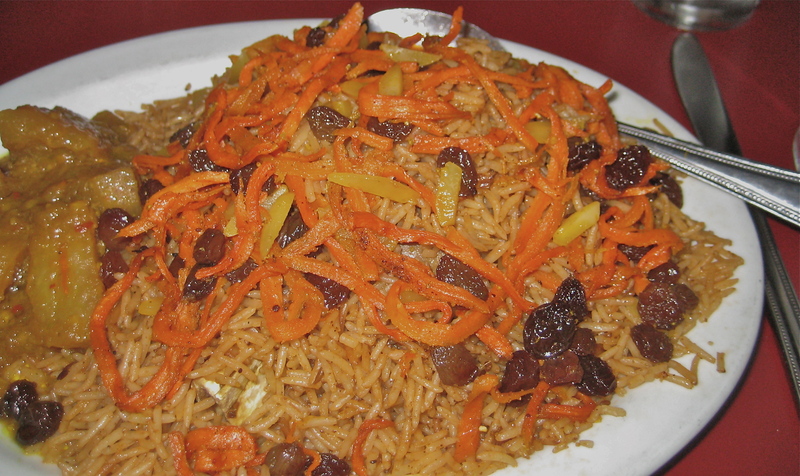 For lunch, I ordered Quabli Pallow — billed as Afghanistan’s national dish. A mound of aromatic basmati rice topped with carrot shreds, raisins and almonds hid a generous serving of the tenderest lamb. This special dish is offered at weddings and other important occasions. It was reportedly served to Alexander the Great in 329B.C. when he conquered Samarkand. I can certainly understand its staying power; it is richly spiced without being spicy. Dogh, a tangy, slightly salty yogurt drink with cucumber and dried mint perfectly balances the sweetness of the pallow. 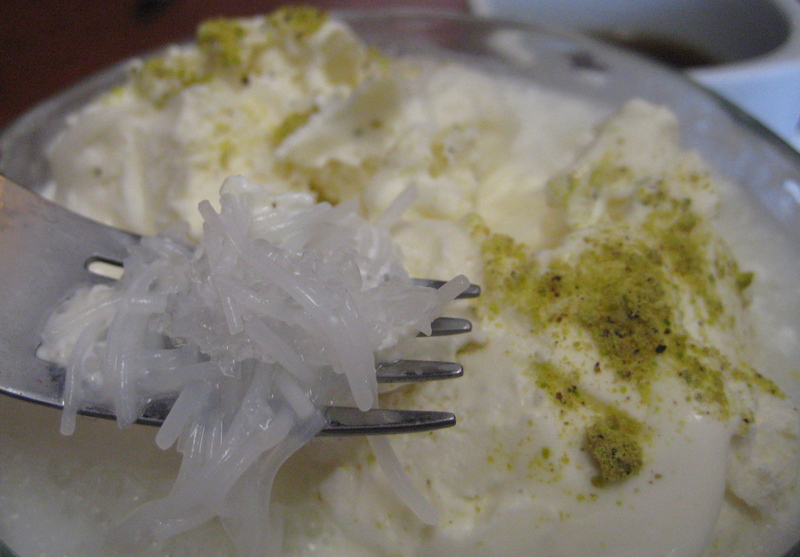 For dessert, try jala, a combination of ice cream on vermicelli rice noodles with rosewater syrup and ice or firnee, a pudding made with cardamom, rosewater and pistachios. After lunch, I walked across the street to explore the Maiwand Market (37235 Fremont Blvd. 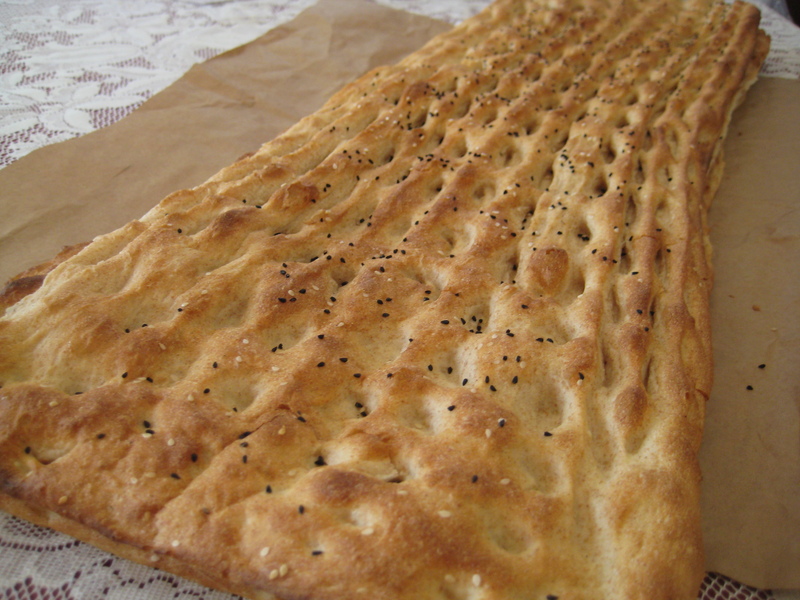 ), which features spices, teas, Afghan sweets and nuts, a Halal butcher surrounded by hanging meats, and a bakery that produces an amazing yard-long warm Afghan bread sprinkled with seeds for only $2. The bakery counter is usually crowded with a line of shoppers waiting for their armful of bread. The last time I worked in Fremont, I visited De Afghanan Kabob House (37405 Fremont. Blvd. 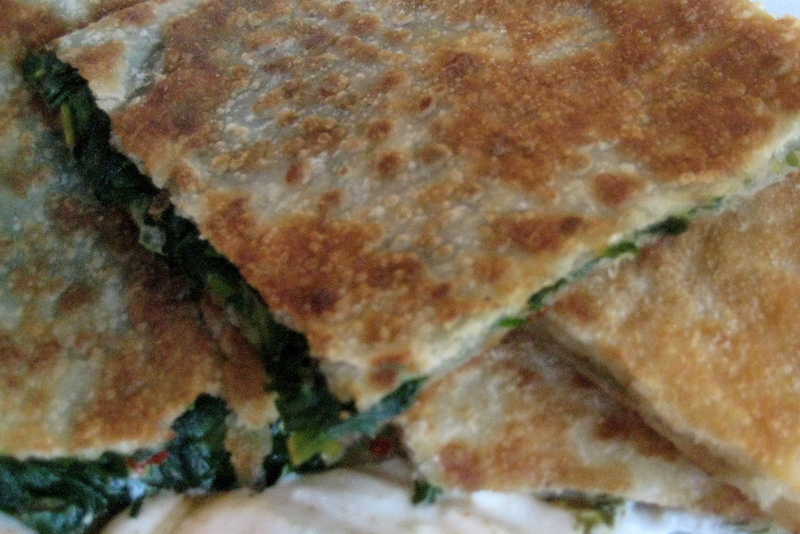 ), a tiny hole in the wall with three tables that basically serves two dishes: kabobs, made with thick chunks of marinated and charbroiled chicken beef or lamb; or bolani, a thin-crusted, filled flatbread. I ordered one bolani (half potato and half leek) and watched as the fresh dough was rolled out on a board, filled and folded, then placed on the hot griddle with weights on top of it as it cooked to a crisp golden brown. The piping hot, crunchy crusted pieces were piled without ceremony in a pizza box and served with a bowl of thick homemade yogurt with spicy red and green sauces on the side. Even though I ate several slices of the delicately spiced bolani, I barely made a dent in the massive mound and brought the rest home to share. This entry was posted in Afghan Food, gluten-free food and tagged Afghan cuisine, Afghan food, bolani, De Afghanan Kabob House, Fremont, Maiwand Market, Salang Pass. Bookmark the permalink. Yum! Can’t wait to go. 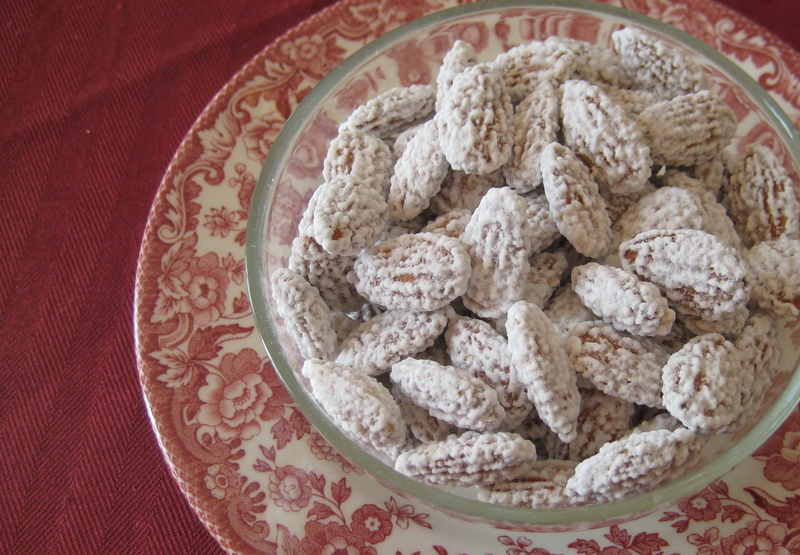 I really wanted to try the almonds , but it wasn’t meant to be , he ate them all before giving to me 😦 They look delish ! All the food sounds sodelishes ! 🙂 hee hee bad Superman he is a hungry fellow though !